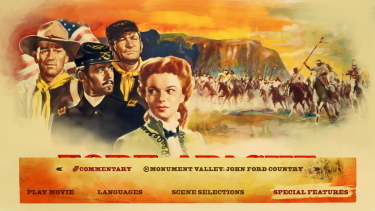 Description: The first of John Ford's Cavalry Trilogy, Fort Apache stars John Wayne as captain Kirby York and Henry Fonda as Custer... clone Lt. Col. Owen Thursday. 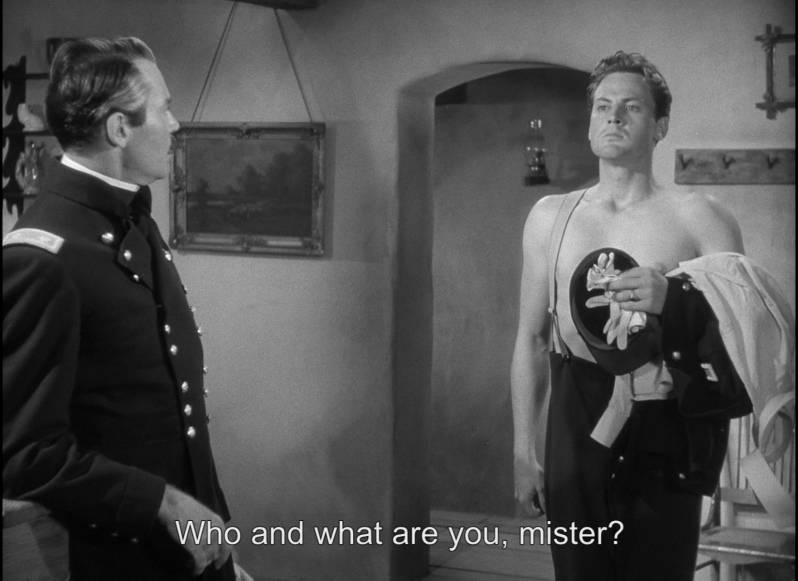 Resentful of his loss in rank and transfer to the West after serving gallantly in the Civil War, the vainglorious Thursday insists upon imposing rigid authority on rough-and-tumble Fort Apache. 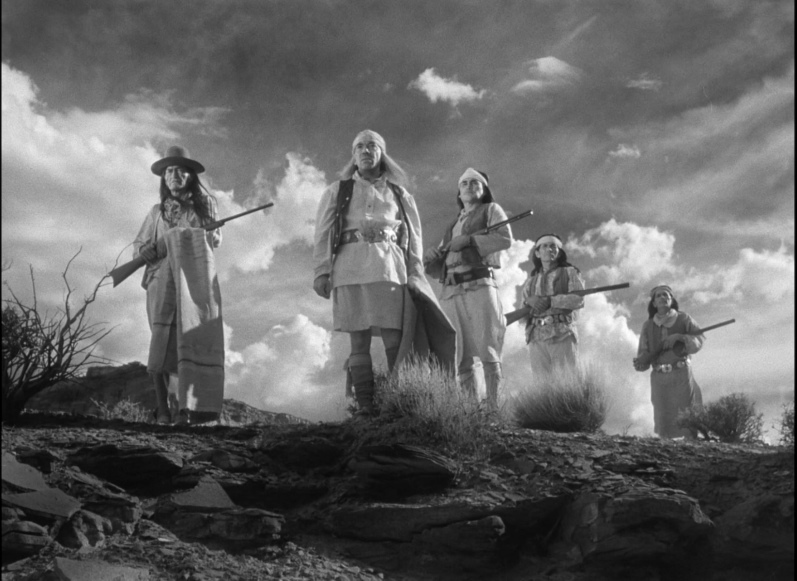 He is particularly anxious to do battle with the local Indians, despite York's admonitions that the trouble around the fort is being fomented not by the so-called savages but by corrupt white Indian agents. 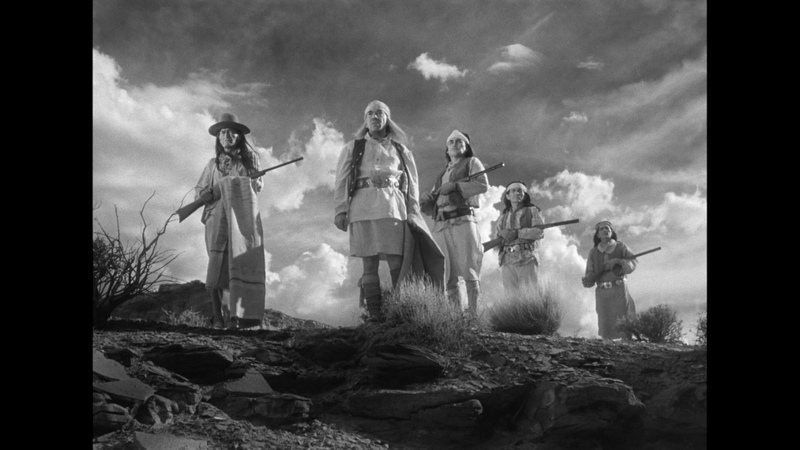 Thursday nonetheless ends up in a climactic set-to with Indian chief Cochise. 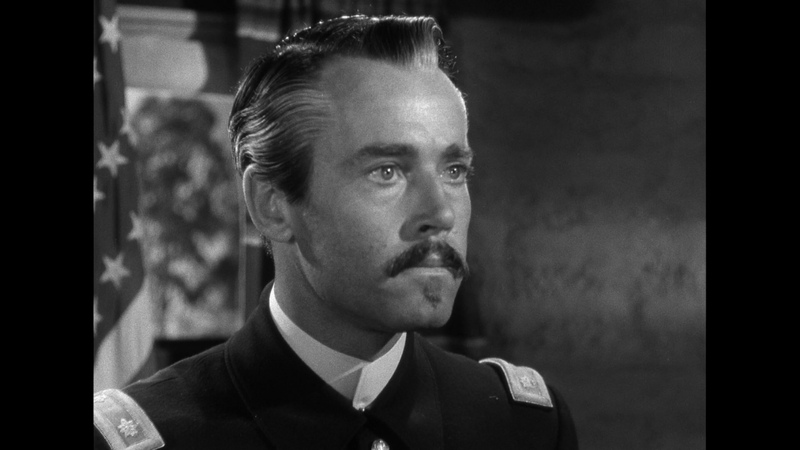 He and his men are needlessly slaughtered, but the Eastern press builds Thursday's Charge into an incident of conspicuous valor--and York, ever loyal to the cavalry, is not about to tell the whole truth. 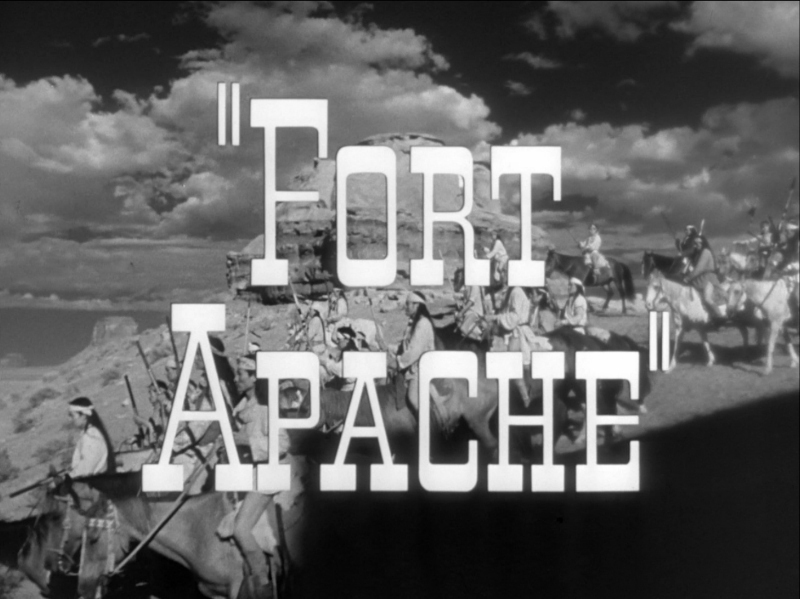 The bare bones of Fort Apache's plotline are fleshed out with several subplots, including the romance between Thursday's daughter Philadelphia (Shirley Temple) and Lt. Mickey O'Rourke (John Agar), the son of Fort Apache veteran Sgt. 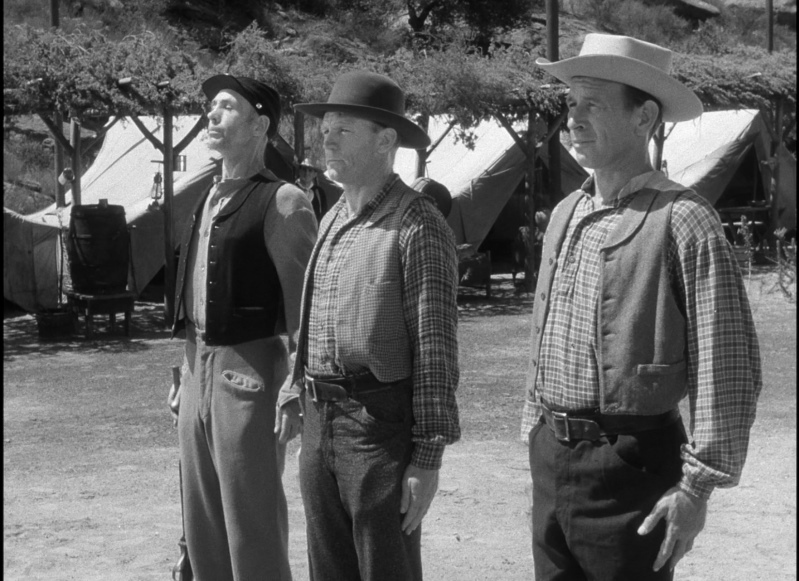 Michael O'Rourke (Ward Bond). 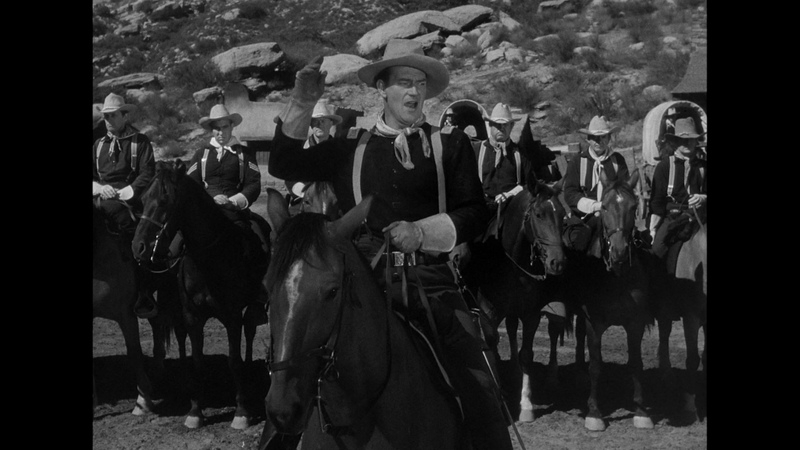 There's also plenty of time for the expected drunken-brawl humor of Victor McLaglen. 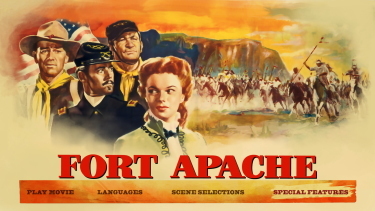 Not in the least politically correct, Fort Apache is a classic of its kind, and together with Rio Grande (1950) the best of the John Ford/John Wayne Cavalry films. 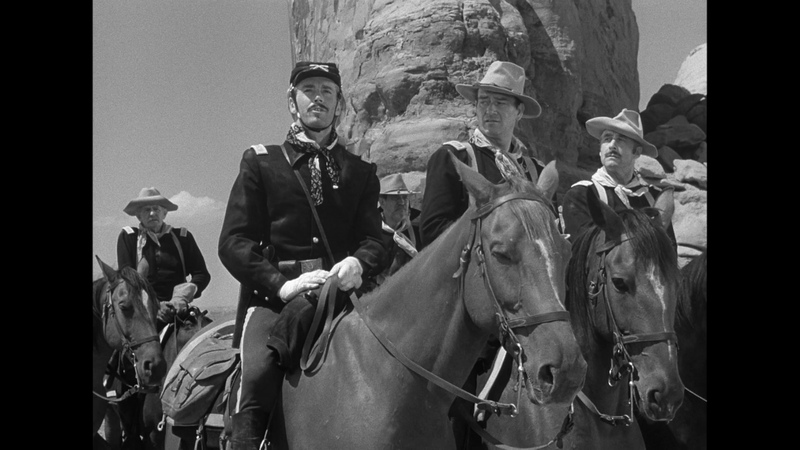 FORT APACHE is the superb first film of director John Ford's US Cavalry trilogy. 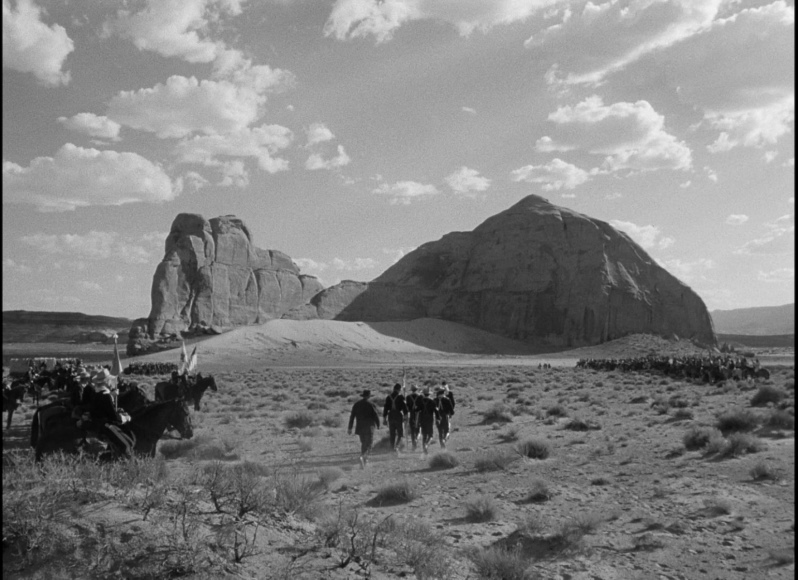 The awesome exterior scenes reflect Ford's early training as a painter and provide a remarkable backdrop for the irony which unfolds. 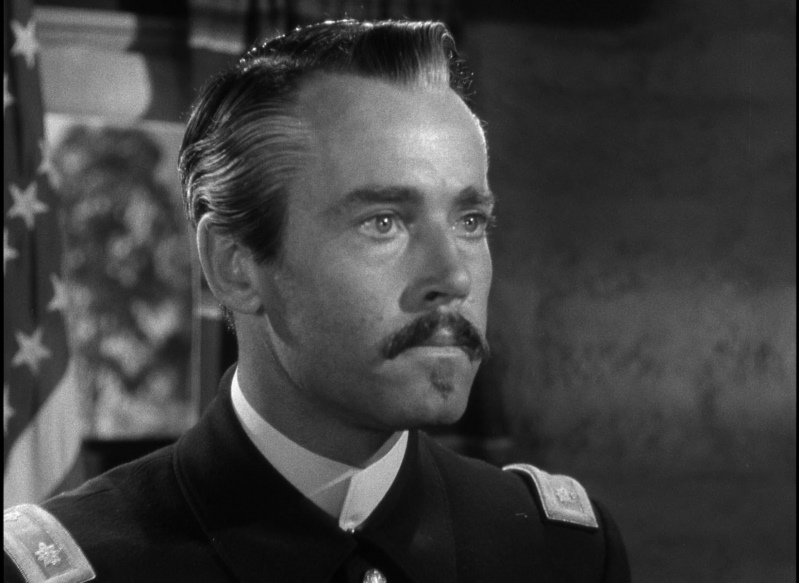 Lt. Col. Owen Thursday (Fonda) is a martinet commander bitter over having been sent to fight "digger" Indians instead of being assigned a glory post. 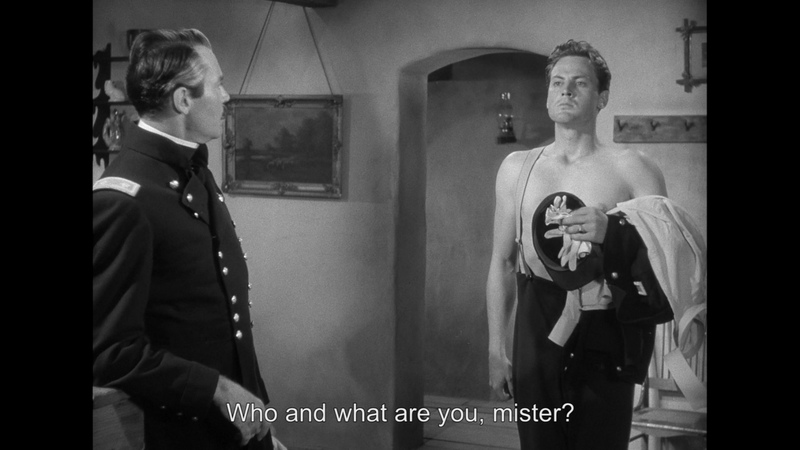 He foolishly leads his men to disaster, but the press later presents him as a hero for the sake of the military's image. 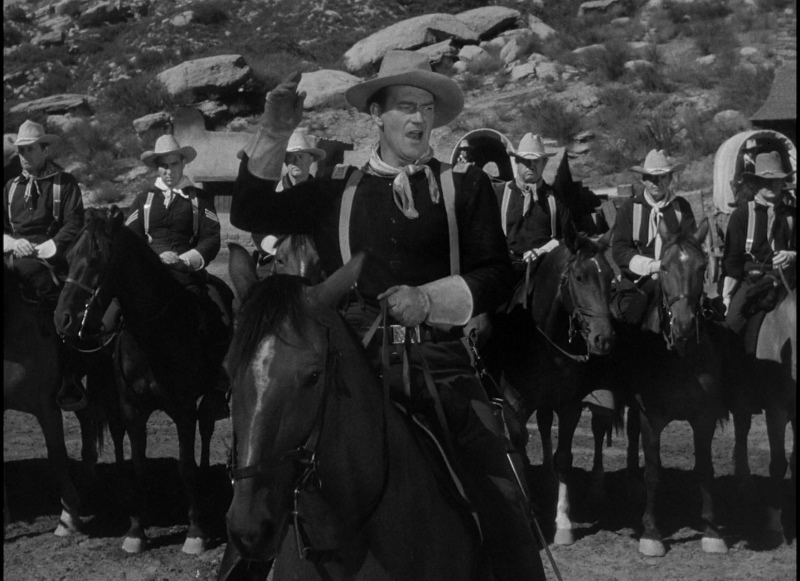 A rootin', tootin' Wild West show, full of Indians and United States cavalry, dust and desert scenery and a nice masculine trace of romance, has been honestly put together under the masterful direction of John Ford in Argosy's "Fort Apache," which came to the Capitol yesterday. 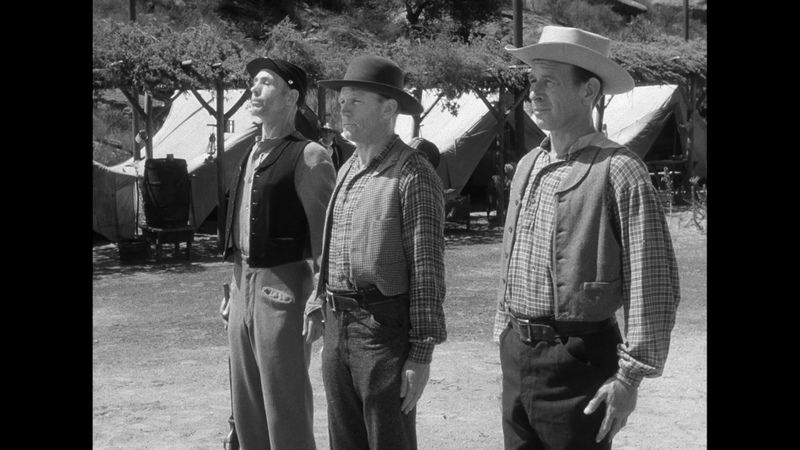 Folks who are looking for action in the oldest tradition of the screen, observed through a genuine artist's camera, will find plenty of it here. 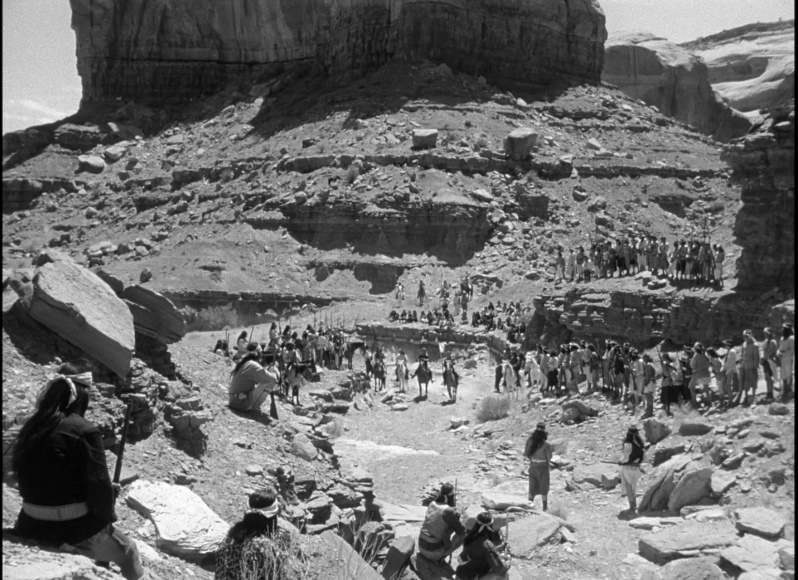 But also apparent in this picture, for those who care to look, is a new and maturing viewpoint upon one aspect of the American Indian wars. For here it is not the "heathen Indian" who is the "heavy" of the piece but a hard-bitten Army colonel, blind through ignorance and a passion for revenge. And ranged alongside this willful white man is a venal government agent who exploits the innocence of the Indians while supposedly acting as their friend. 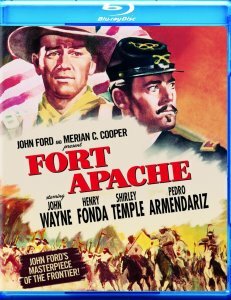 Fort Apache looks decent on single-layered Blu-ray from Warner. 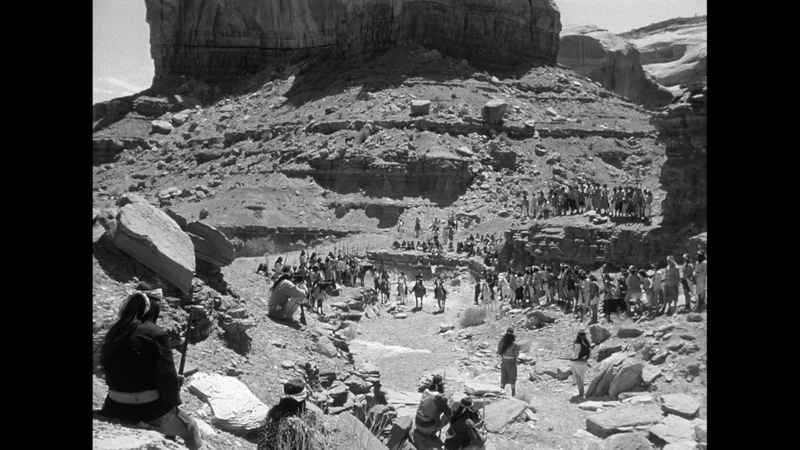 The image quality shows some texture and minor grain. Contrast is fairly strong. 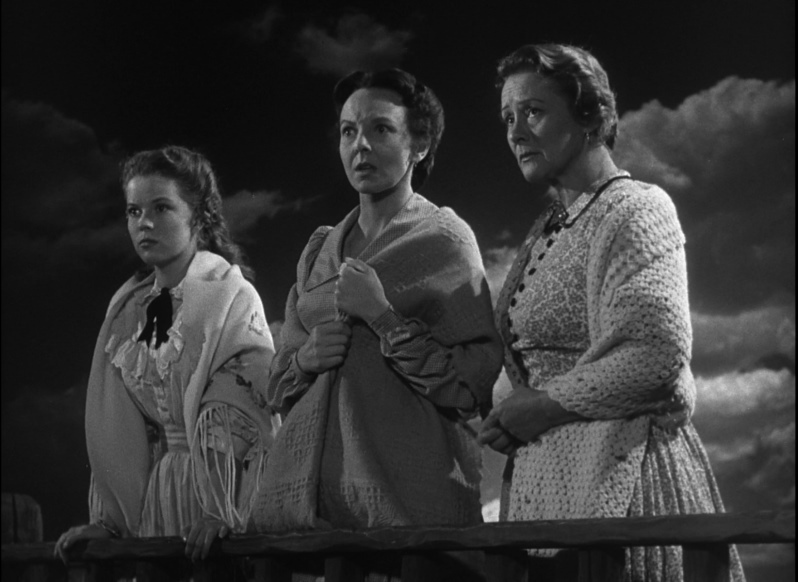 Detail shines in the bright, open skies and the impressive vista cinematography - largely shot in Utah and California. There are no night scenes and no noise produced at all that I could determine. 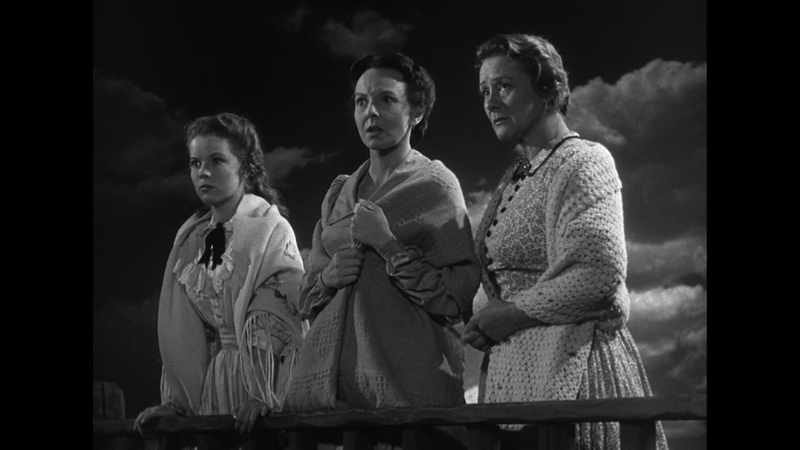 This Blu-ray gives a very good, even, presentation - typical of Warner's other films from this time period. The grain is appreciated and while dual-layering may have boosted the bitrate - I doubt it would have produced a significantly superior image. 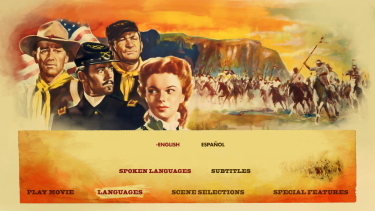 The DTS-HD Master is rendered in authentic mono at 1037 kbps. It is, predictably, flat, but there were a few instances of depth and the galloping horses sounded quite crisp. The audio was consistent and very clean. There are optional subtitles and my Momitsu has identified it as being a region FREE disc playable on Blu-ray machines worldwide. 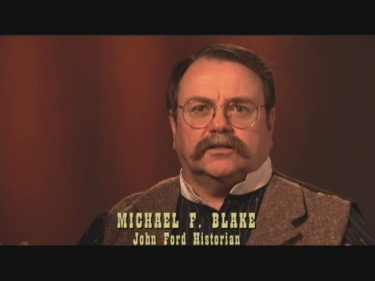 The Blu-ray has a commentary by biographer F. X. Feeney. 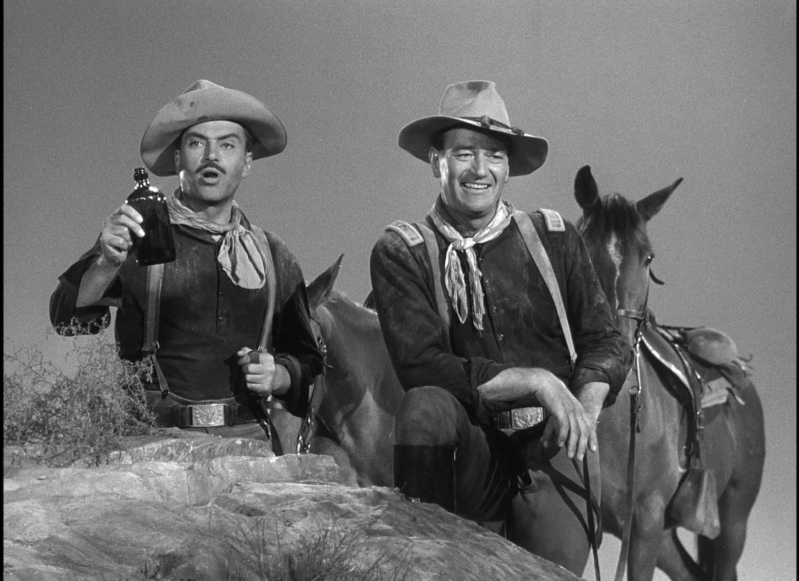 This same commentary was on the DVD that was part of the 8-disc John Wayne: John Ford Film Collection released in 2009. 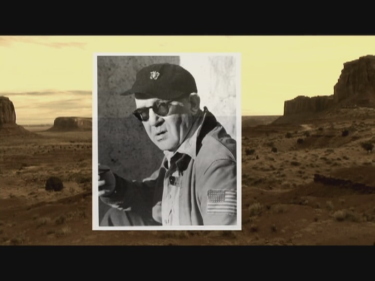 As was the 15-minute vintage video piece entitled Monument Valley: John Ford Country. 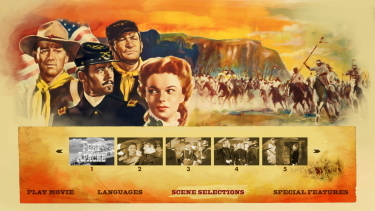 This and the included trailer are transferred to the disc in 480i. 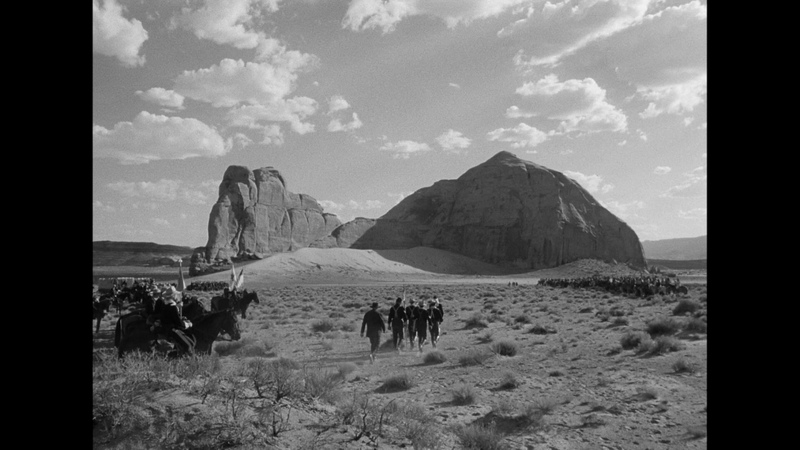 Even as a modest transfer - the beauty of Ford's film still shines through with the incredible scenery in 1080P. 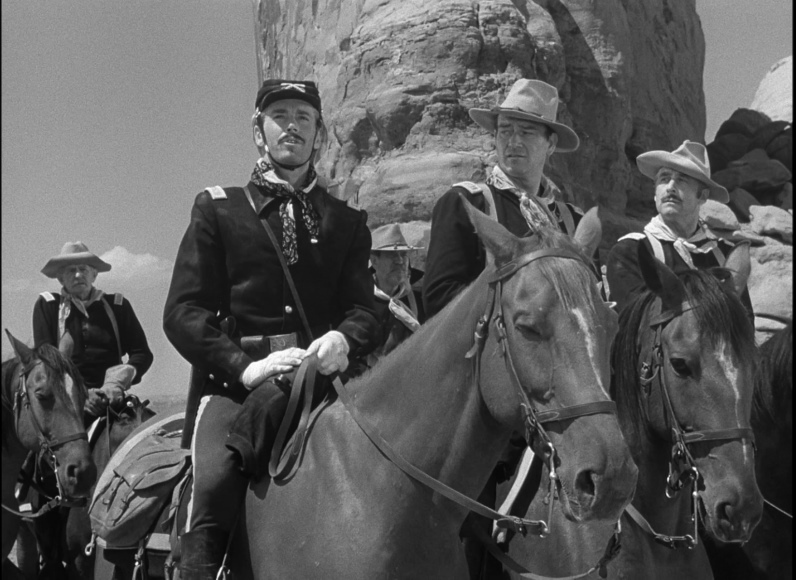 Fort Apache is a great western. 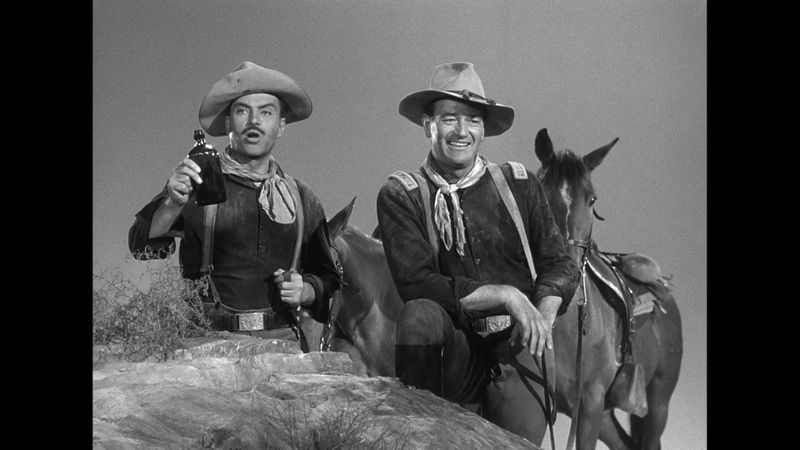 The Blu-ray is reasonably priced and the genre fans, as well as those of the director, Fonda and 'The Duke', should strongly consider indulging. It makes for a wonderful 2-hours in the Home Theater.